“Peanuts? Pretzels? Cookies?” is what the flight attendant asked us. I was like “what the what?!….cookies?! yes please!” It was my first time flying first class, my first time flying Delta and my first time flying with my daughter. Boy were we being treated like royalty!! Did you know you get your drinks in real glass, not plastic, in first class? I later found out they serve those tasty crispy cinnamon/sugar Biscoff cookies to ALL Delta passengers (not just first class) and better yet……..I can find them in my grocery store! ……but wait! 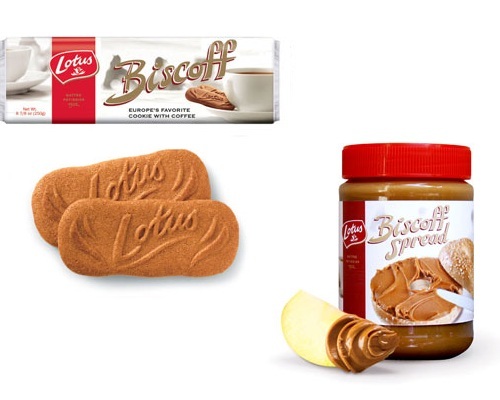 It gets even better, Biscoff also makes a spread! It’s “Europe’s alternative to peanut butter” and it tastes exactly like the cookies. It wasn’t long after that flight that I noticed Biscoff recipes popping up on some of my favorite food blogs. I knew I was going to need to made something with my new little gold mine! 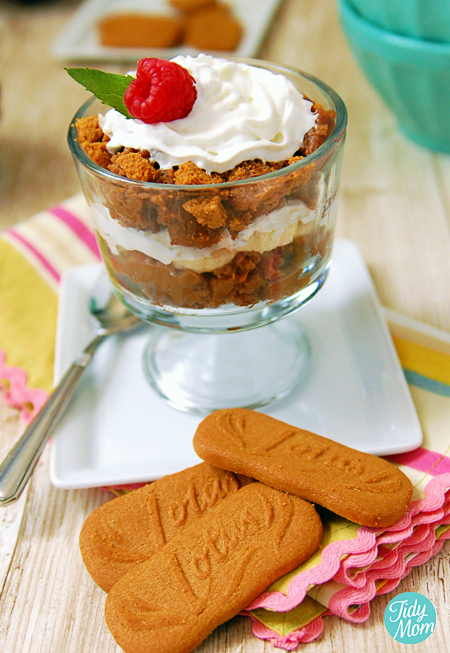 I have had a few stressful weeks, and a sick kiddo at home, and thought yesterday we could both use a little “pick me up”, it was going to need to be indulgent yet easy, and I remembered Kristen’s Biscoff Pudding. using individual cups, layer pudding, banana slices, whipped cream, pudding, crushed cookies and top with whipped cream. Garish with a raspberry and mint leaf, if desired. can’t find Biscoff cookies and spread locally? That dessert looks amazing. Hoping your daughter was feeling well enough to truly enjoy it and that she is on the mend now. I love that pudding and the more cookies mixed in, the better! What yummy little parfaits!! Looks great!! I’ve GOT to get my hands on some of that spread. Glad to see you back and hope Allison gets better soon!! I want this for dessert tonight and tomorrow night and so on! Oh gosh Cheryl! I should’ve eaten lunch before looking over here. YUM! I am obsessed with Biscoff! I LOVE this recipe!!! I’ve never tried the biscoff spread. It looks great! I’ll put it on my list to try. Yum! once you fly first class it is so hard to go back! so glad you were rewarded with something so wonderful after a hectic/stressful week! 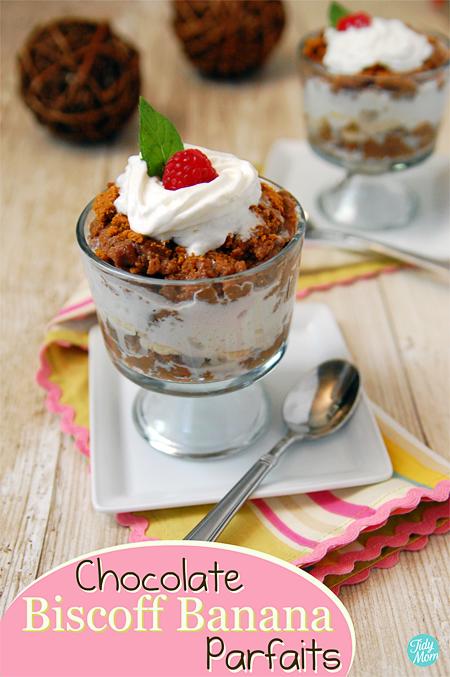 your parfaits look absolutely divine! Yum! That looks so yummy. Yes first class is fun right??! Ooooh! these look delish!I crispy cookies and creamy pudding, what more could a girl want! OH MY WORD, that looks AMAZING! DELICIOUS! Ummm that sounds delicious! Think pudding is amazing. I am waiting patiently for the stores near me to start carrying Biscoff. I’ve been having to cart it back from France for years now. So happy to know that I can at least order it at Amazon in the meantime. I’m seriously in love with those cookies! I just discovered Biscoff at Costco this year and I am completely in love them. My favorite way to eat them so far is with Nutella!! I should never have tried it- like a “grown-up” version of chocolate frosting on graham crackers. I don’t believe I’ve ever had anything Biscoff, but I know my husband would love those cookies! Recipe sounds amazing. That’s it… I am going to have to get my hands on this stuff – these recipes sound just too delicious to miss!! Hope your little one is feeling better! Yum, these look like just what the doctor ordered. I’m so sorry about your stress, but it’s going to be a smooth ride verrrry soon! I heart those cookies too. It looks delicious! I can’t even look at those cookies without gaining 10 pounds – they are soooo good. The parfait looks delish and your photo and styling are perfection. I am so ashamed to admit that I’ve never had Biscoff cookies *or* spread. But, I am desperately wanting to give it a try. That pudding looks divine! Looks and sounds incredibly delicious! Biscoff may be one of my favorite cookies! This parfait looks absolutely perfect.